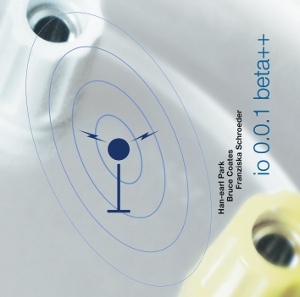 io 0.0.1 beta++ (itself) with Han-earl Park (guitar). Thanks to Corey Mwamba and Jonathan Deasy for helping select this first clip. Thanks also to George Haslam for his support. Audio clip courtesy of SLAM Productions. Audio ℗ 2011 SLAM Productions. Please do not distribute audio file (you may share the link to this page). 08–07–13: another change of audio player. 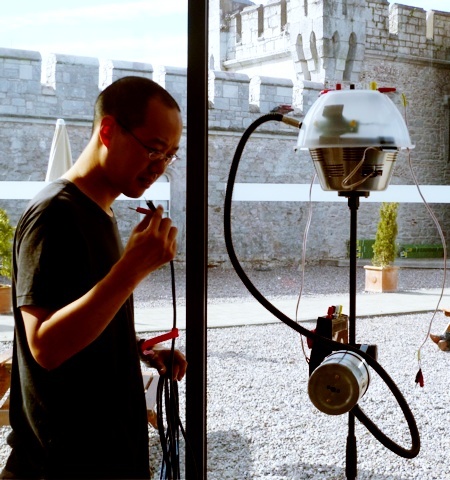 This entry was posted in audio recordings, performance and tagged 05-25-2010, audio excerpt, audio recordings, Blackrock Castle Observatory, Bruce Coates, CD, Corey Mwamba, Cork, Franziska Schroeder, George Haslam, Han-earl Park, io 0.0.1 beta++, Jonathan Deasy, Laplace: Perturbation, mp3, Ó Riada Hall, performance, photographs, recordings, Slam Productions, SLAMCD 531. Bookmark the permalink. Post a comment or leave a trackback: Trackback URL.